Kids Wanna Hunt Ghosts at Mansfield, Ohio Reformatory? Jail bars aren't the only things rattling on these overnight Ghost Hunts. Who wants to tiptoe around an old, possibly haunted prison reformatory at night? That’s right, we do. The infamous Ohio State Reformatory in Mansfield, Ohio opens its doors on select Fridays and Saturdays, once or twice each month, to give ghost hunters from all over the world a chance to walk among the spirits said to be still inhabiting the facility. Volunteer tour guides will provide stories of the reformatory’s sinister past, as well as answer questions. Braver participants are even permitted to explore the prison on their own. The staff encourages anyone interested in assisting them in their goal to document any and all signs of paranormal activity. Overnight and shorter public tours of the Reformatory are given a few nights each month to raise funds. For $70 a person, visitors age 18 and over can explore on Ghost Hunts from 7pm to 5am and enjoy some comfort food like pizza and soft drinks to ease their nerves. Or nap, if they dare. For younger paranormal experts, Ghost Walks are offered from 8pm to 10pm. These cost $12 for children 13 to 17 and $18 for each accompanying adult 18+. On these walks through dark corridors, guests will hear haunting tales of murder and death that took place in the reformatory. Advanced reservations for all tours are required. Over the Halloween period, between the last week in September and early November, the Haunted Prison Experience kicks the shrieks and creeps up a notch. Note that #HauntedX has won the “Most Assaulting Soundtrack” award in years past. Entry (and a key to get out) on Friday, Saturday and Sunday nights is just $20. On a historic background note, the Ohio State Reformatory was built in 1886 and had served as a working prison for 94 years, before closing its doors on December 31, 1990. The total amount of prisoners during its operation tallies up to 155,000 men. The facility, named one of the Travel Channel’s “101 Things to do before you die,” was even the setting for the 1994 film, “The Shawshank Redemption.” The prison is also renowned for boasting the world’s largest freestanding steel cellblock. All proceeds from the Ghost hunts and walks will be devoted to the restoration of the historical structure. If you’re looking to stay in Mansfield, a number of hotels have teamed up with the reformatory and are offering special rates including amenities such as a safe place to sleep, free WiFi, outdoor pool access and full breakfasts. Be sure to check out the Mansfield Tourism website to find the best hotel deals. More information and reservation details for the Ohio State Reformatory can be found at the Mansfield Reformatory Preservation Society website or by calling at 419/522.2644. For more things to do in nearby Columbus, Ohio, read Susan Finch’s article on Columbus, Ohio Family Activities. 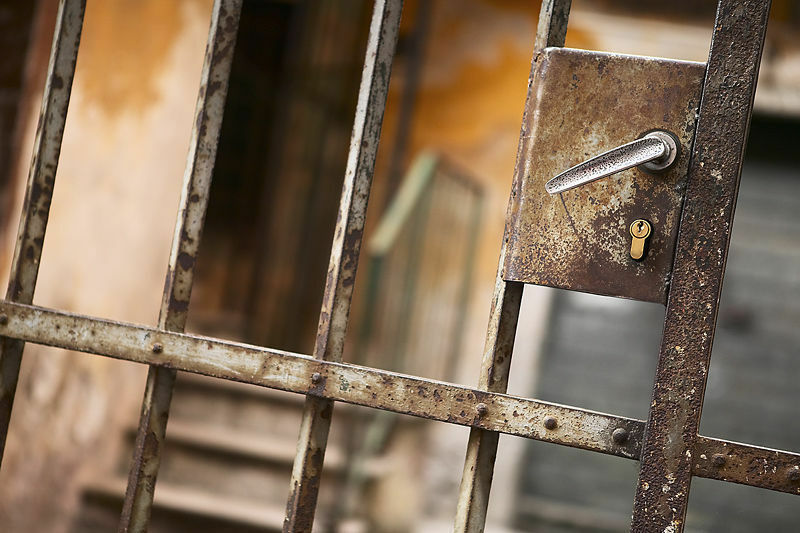 For those truly mad about prisons, David Wilkening can show you what’s behind locked doors in his piece, Tourists: Go to Jail.